Desires and self-interest are the basic reasons that make one prone to committing sins. In addition to them, many personal habits can also make one more susceptible; they accumulate imperceptibly over the years in one’s routine and personality. They are often a consequence of one’s upbringing, environment and education and can at times be very difficult to get rid of. Sometimes, people acquire certain habits after growing up as a consequence of external factors; they may not be directly related to virtue or sin however, they can end up serving as a foundation for sins. For example, some people are lazy by nature. They display laziness in everything they do. This is a bad habit but it does not have anything to do with religion. But, this habit can sometimes take them to a stage where they start to show laziness in their prayers, despite being inclined to prayer. When it is time to pray but they do not get up; they hear the Azan but ignore it. It starts to get late for praying but they still don’t make the effort to pray; eventually the time for prayer passes and they miss the Salah. Similarly, many people offer the four daily prayers regularly on time but are unable to perform the morning Fajr prayers. The reason for this is that people get used to sleeping late at night. The habit of sleeping late has nothing to do with good or bad deeds per se. However, due to this habit it becomes impossible for them to wake up for the morning prayers at 5 O’clock in the morning, after having gone to bed well after midnight. Hence, they always miss their morning prayers. Another bad habit, which people often fall prey to, is being unable to properly organise one’s activities and time. Again, this is not anything directly related to religion but it leads to many moral and religious misdeeds. For example, such a person promises to be somewhere at a certain time but never manages to make it there on time. He takes on a responsibility, which is tantamount to making a promise however, due to his unorganised habits, he finds himself unable to fulfil the responsibility he has pledged to undertake. Hence, he becomes a candidate for severe penalties that have been mentioned in the Qur’an and Hadeeth for people who do not fulfil their promises. Another such habit is to talk unnecessarily for no good reason. Such a person keeps talking. His conversations may have issues of relevance at times but often strictly prohibited things find their way into his conversations without him realising it like, making fun of others, backbiting, slander, and unnecessarily prying into the affairs of others, etc. It is imperative for a person whose life revolves around repentance to reflect on his habits. He should try his best to rectify any habit that has the potential to take him towards disobedience to God. He should seek help from others if need be, in this endeavour. He should read books written about this issue. He should do self-accountability. He should set some required standards and demands for himself and in case of violation, he should also impose some sort of penalty on himself. It is also important at the same time to inculcate good habits in children as part of their upbringing. The real source of habits for the children are parents themselves. 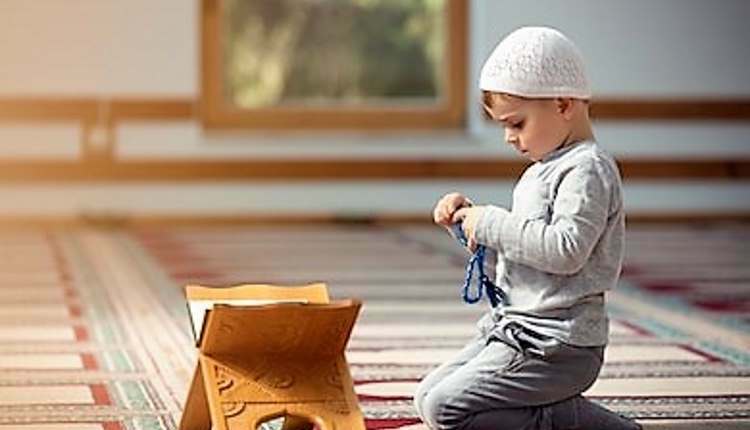 If the parents appreciate the importance of this issue, they can arrange for an excellent upbringing of their children, which would then result in them growing up to be good and desirable human beings. These are the habits that would eventually lead to their success in this world and in the Hereafter.